Mr. Wonderful are on our way to see his mom today! Before I left, I was able to finish this quilt. For time’s sake, I did all the binding by machine. I started by stitching thebibding to the back of the quilt and then pressing the binding away from the quilt. I never use pins or clips when I bind. I just roll the binding to the front side far enough to just cover the stitch line and top stitch close to the edge. That’s how I bind! But I do use one pin once I pull the binding to the front. About five inches down, and then re-position when I reach it. So much faster than hand sewing. 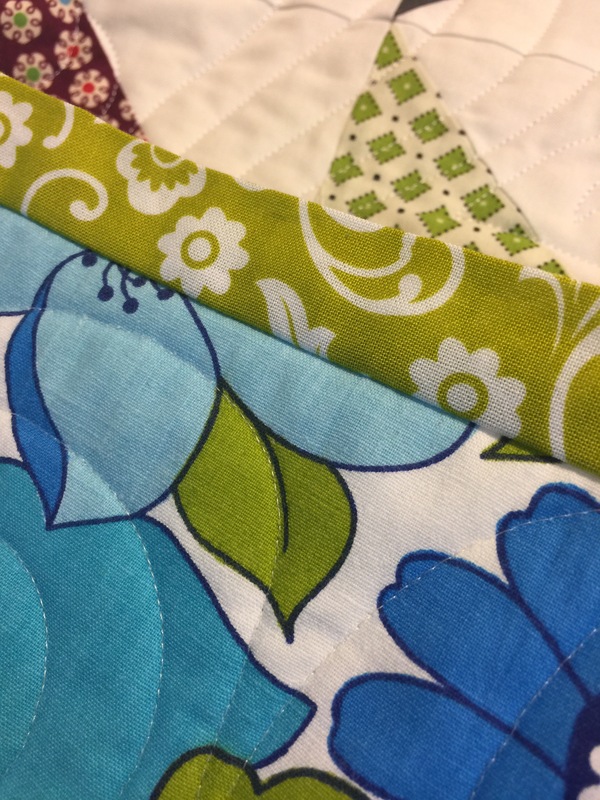 That’s a wonderful color for the binding on that quilt. Did you make the binding a little wider to accommodate the foldover? How did you handle the corners on the first go-round? I’m in love with your backing. Do you mind sharing the designer and print name? Do you cut your bindings at 2 1/2″ or 2 1/4″? It looks like you take a full 1/4″ and also do a stay stitching to hold it in place when doing the binding. 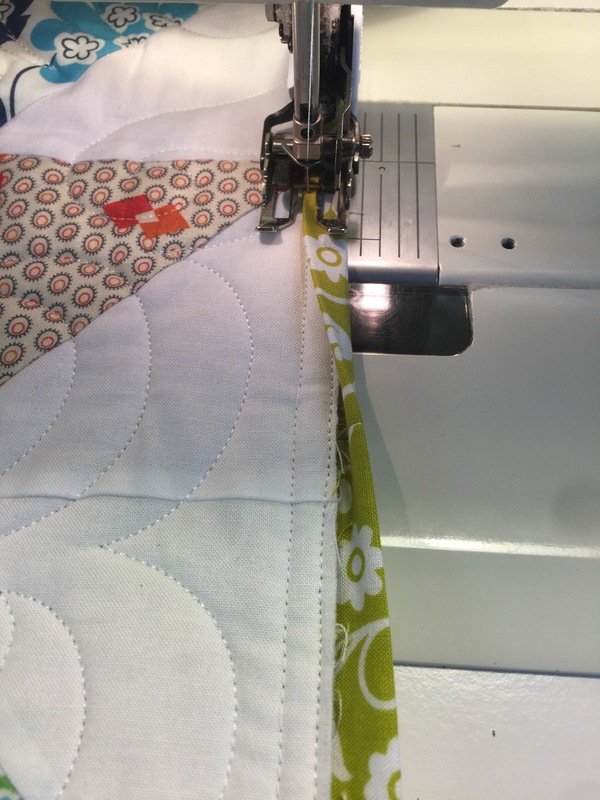 I do all my binding with a 2″ strip, but the stay stitching looks like that would be very helpful in sewing the 1/4″…..Of course, I may still be sleeping!